EVENT SPONSORS are recognized on event signage and marketing, from the stage and on the donor wall at CSC. They also receive a gift of recognition for display at their business PLUS the items in their chosen level (Platinum, Diamond, Gold and Silver). Simply donate online (below), or mail in your donation check. Completed ads can be uploaded here. 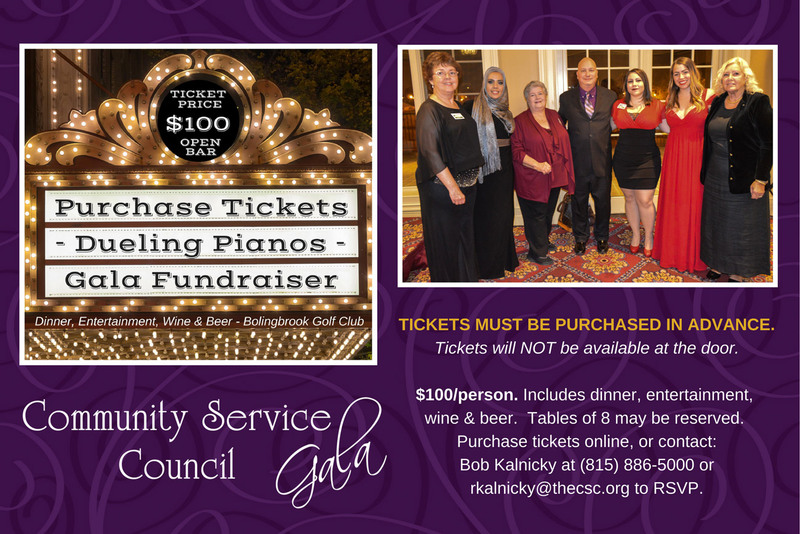 For questions, contact Bob Kalnicky at rkalnicky@thecsc.org. 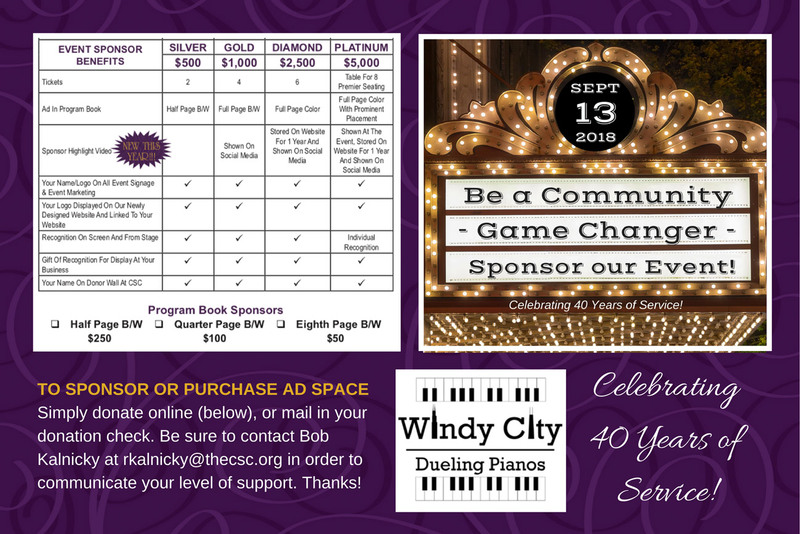 PROGRAM BOOK SPONSOR ads are black & white and must be submitted by 8/30/2018. Size specs are listed below. Completed ads can be uploaded here. For more information, please call: (815) 886-5000.